This new workshop is for anybody who wants to have a more successful creative career. It looks deeper into who we are and why we face blocks to our hopes and dreams. Based on the premise we are all looking for a fulfilling and happy life, Lyne Marshall looks at breaking unwanted habits, building steps to success and putting colour back into your life. We see the world differently when we understand creativity and when we remove self imposed restrictions, our life changes in wonderful ways. In this two day workshop the participants will look at digging deeper to overcome the barriers to creative success to get past the gatekeepers. Finding new ways to think, write and act in important situations allows you have positive outcomes. When you want to influence those people who affect your life and career outcomes, you need to look at the world in positive ways. Belief in self is something we all need to reinforce. We can spend a huge amount of time and energy procrastinating, and in turn missing opportunities that can really matter. When we think in flexible new ways we see positive results. 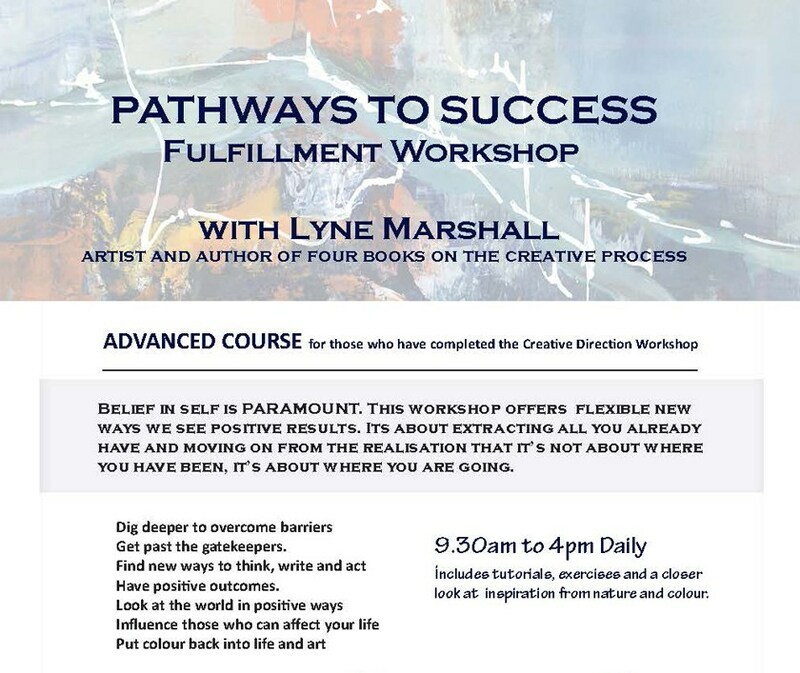 This workshop is for you to extract all you already have and move on from the realisation that it’s not about where you have been, it’s about where you are going. Bring along an open mind, notebooks and pens, and plan to have an interesting and mind expanding weekend. 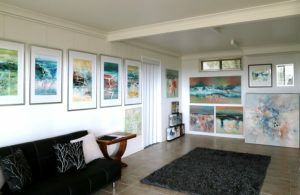 COSTS: These two day workshops are held in my studio or your venue to suit participants needs. They are for all levels and genres of creativity. A Booking Fee is required to ensure a time and is part payment on the full workshop fee. There is an early bird price if you chose to pay the full amount in advance. For your information, and to budget for grants, the costs to each participant can range from $275 to $330 for a two day workshop, depending on numbers. See the main Workshop Page or contact Lyne on M 0418 876 230 to have a booking form emailed to you.